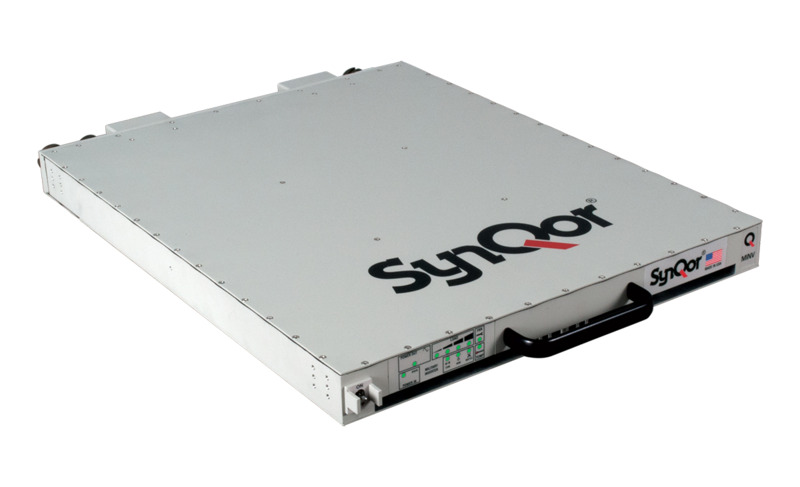 SynQor, Inc.’s MINV 4000 W 115/230 AC is a fully isolated, low-weight inverter that was designed for military, field, and mobile high-reliability applications. The inverter draws power from a standard 28 Vdc power supply and delivers an isolated, well-conditioned, pure-sinusoidal AC output. Compliant with a wide range of military standards, the inverter is aimed at applications where output power, space, weight, and reliability in harsh environments are a major concern. The MINV inverter is also flexible, supporting parallel and N+M redundant configurations of as many as 32 units for high-power and/or high-reliability requirements. Additionally, multiple MINV units can be arranged to deliver multiphase power schemes including three-phase and split-phase, which effectively doubles line-to-line output voltage and total output power. The MINV can also be combined with SynQor’s 3-Phase Military Power Supply (MPS-4000) to create a three-phase to single-phase AC changer for applications that require a well-balanced three-phase input current; a well-conditioned, single-phase AC output; or a single-phase AC output with different voltage and/or frequency characteristics.